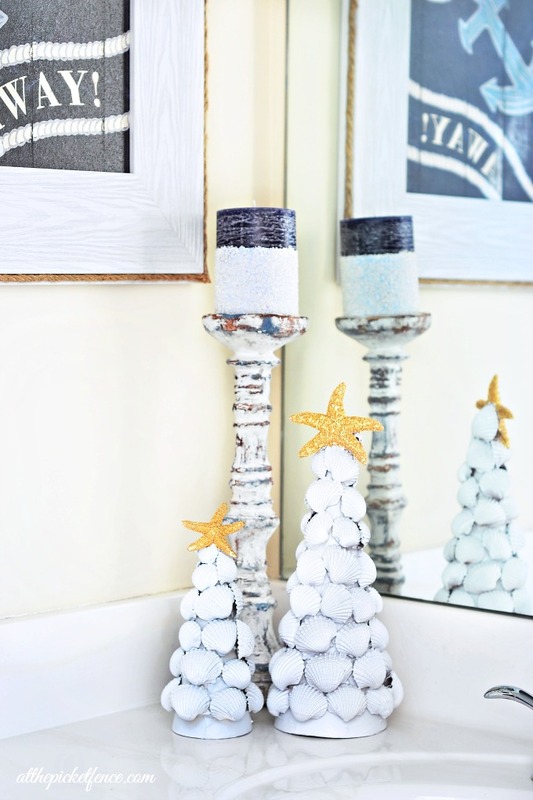 It’s time for another Deck the Halls Holiday Housewalk! I am so honored to be here for a second year in a row among such amazingly talented bloggers. 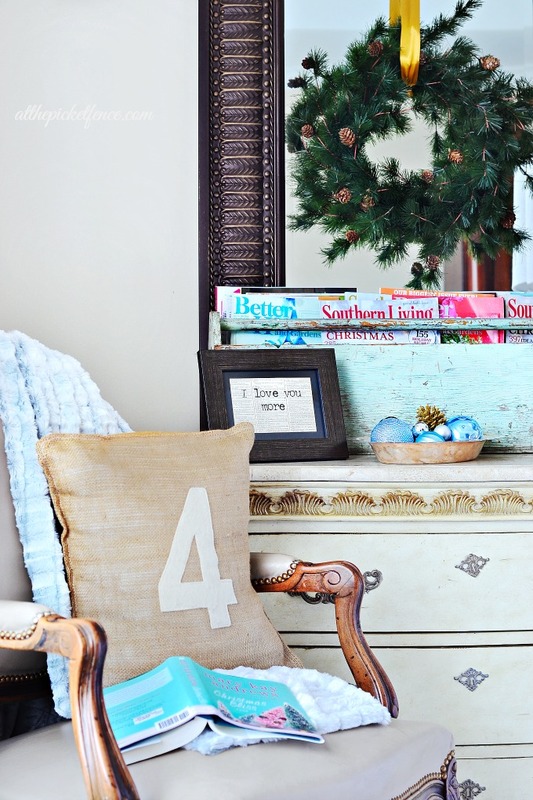 I love getting to see everyone’s homes decked out for the holidays…real homes! To see all 30 houses from the beginning be sure to start at our lovely hostesses house, Jennifer Rizzo, and take a stroll through these amazing homes! Today is Day Four of the housewalk, if you head over to Jen’s you can see all of today’s homes…. and if you are coming over from the super talented Page Knudsen welcome to At The Picket Fence! If you are a regular reader of ours than you’ll know that normally you get two homes in one post when it comes to our home tours but this year Vanessa and I each have our own special day! 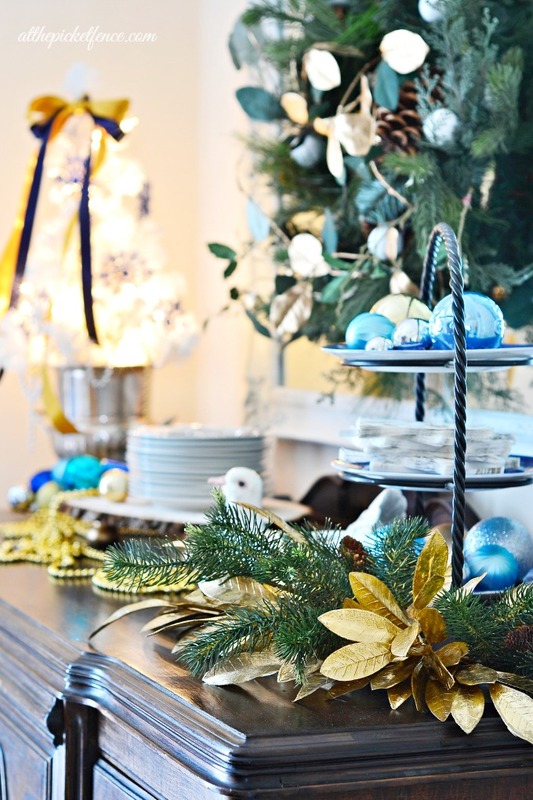 Be sure to visit Vanessa’s Holiday Housewalk Tour from yesterday! I’m so excited to have you in my home today! We’ve been in our new Georgia home five months and we are love being back down South, where we greet you with a “Hey Y’all!” when you stop by for a visit! Come on in and take a stroll with me…I might even have a new room to reveal to you before the tour is over! Now normally I’m pretty chatty and would follow you around talking your ear off, but today I’m going to just let you take a walk through my home with my lips sealed shut. Okay so almost sealed shut…grin. I inherited this beautiful brass deer this year from my Mother. It was in our childhood home for years and I was so excited for it to have a place of honor in my holiday home. Here’s a full shot of my flocked Christmas tree, in it’s Mirrored Tree Stand. It was such an easy DIY project and I’m in love with it! I’m so excited to show you my living room! Would you believe it was empty just a few short weeks ago!? I just love this room and find myself sitting here relaxing, reading and working. It’s so peaceful. 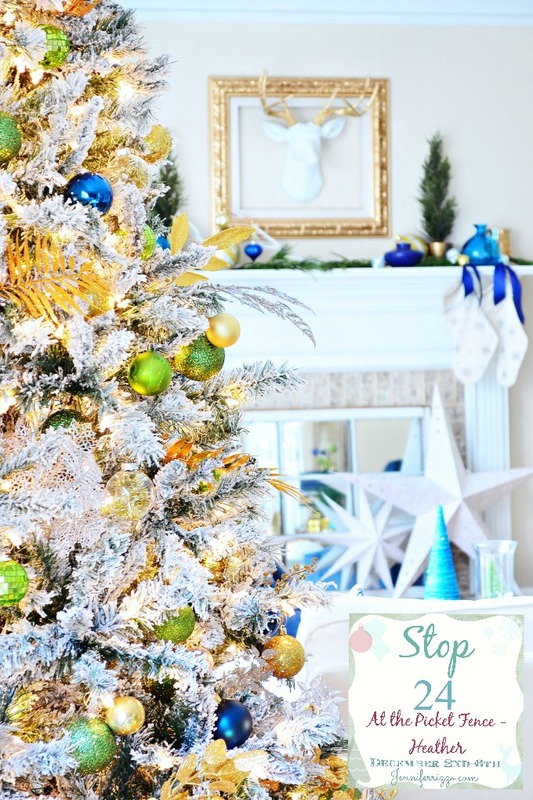 I’ll be sharing more about that gorgeous tree from Balsam Hill on Saturday, it’s amazing and a dream come true tree for me! Thank you for stopping by to see me! I hope you gathered up some fresh new ideas for decorating for Christmas. From our home to yours we wish you a very Merry Christmas and may your holidays be filled with love and joy! Up next on the housewalk is a special treat… Shhhh….it’s a surprise house!! Any guesses who it might be?! 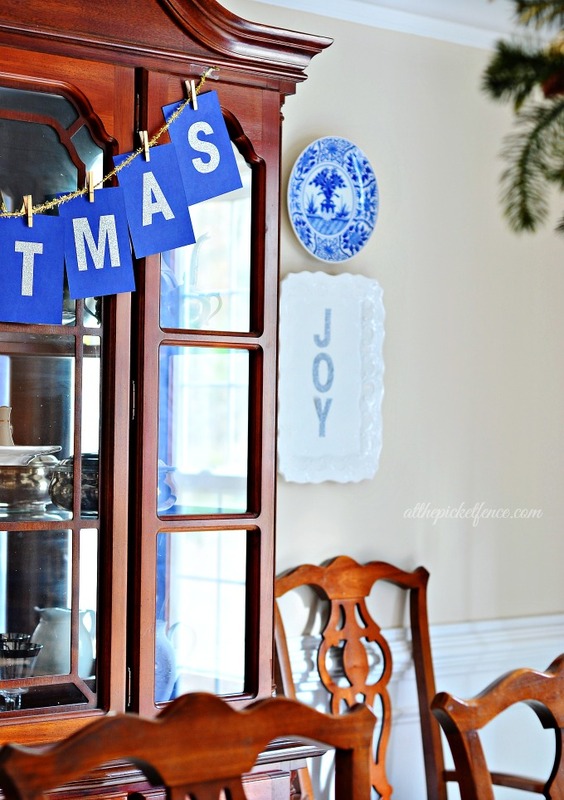 66 Comments on "Decorating for Christmas …Heather’s Home Tour"
love all your southern touches…hey ya’ll & the mirrored table are my absolute favorites. 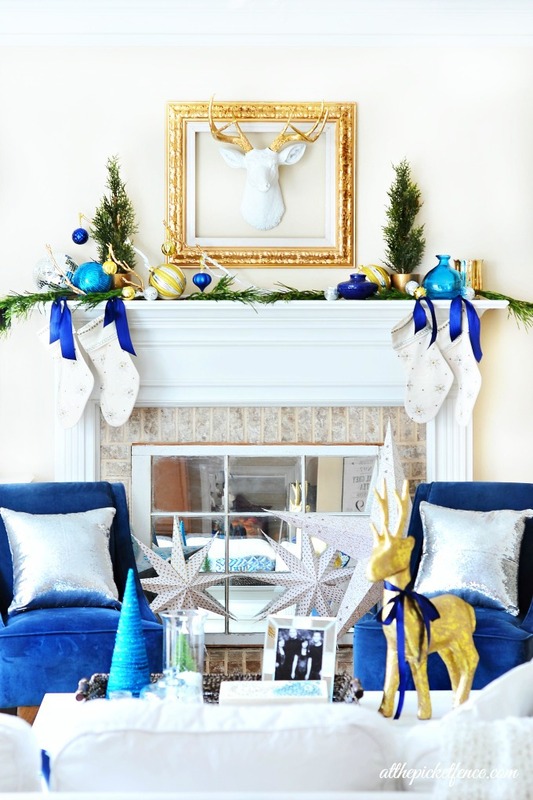 I love all the pops of royal blue in your Christmas decor! It’s a unique twist on the tradition green and red. Beautifully done! Oh girrrrl! You’re right — how funny that we have so many of the same things. I always knew I loved your taste. 🙂 haha. Everything is AMAZING! I can’t believe you’ve only been in your home such a short time and already it looks so finished and beautiful! Love love love! I love your use of color! Your home looks so fun and inviting!!! Welcome back to the South! And to Georgia!!! 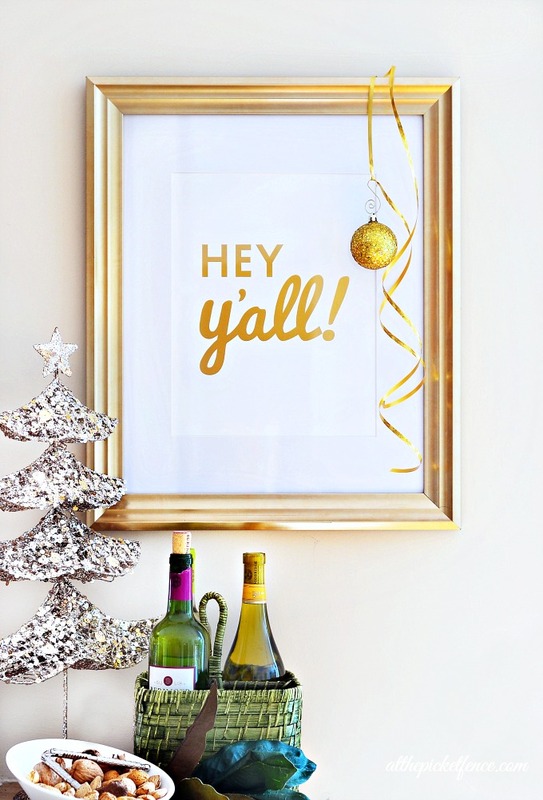 I’m digging that “Hey Y’all” gold print!!! Where’d you get yours? I am LOVING all the blue and green! Such a great mix and done so, so beautifully. Looks wonderful Heather! Love the pops of blue. 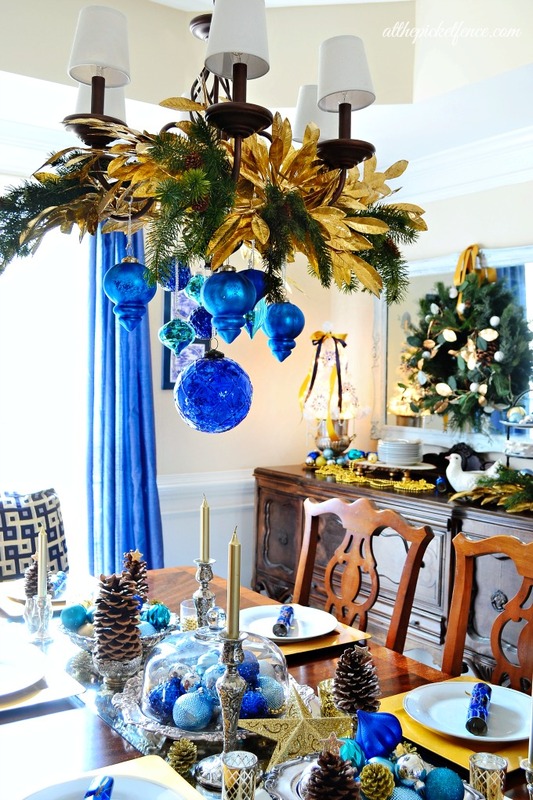 Beautiful, Heather … the blue looks gorgeous mixed with the gold and other pops of color! 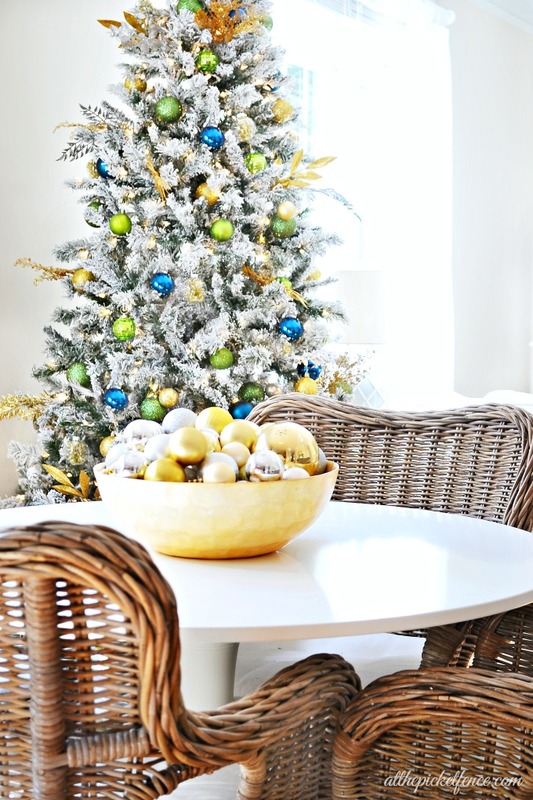 Love your dining room centerpiece, too! Happy Holidays! More holiday decorating! Holiday Housewalk Day 4…!!! Your home looks beautiful, Heather! I love how colorful it is; the blues especially are very jewel tone. Five months there? I’m glad you were able to find your Christmas stuff! I remember when we moved I had to organize boxes as I searched, and I’m sure I didn’t find everything that first year in our new place. I’m with Paige! The Hey Ya’ll and the mirrored table are my absolute favorites!!!! Heather – you knocked it out of the park! The blue and gold is gorgeous! Well done my friend, love it all! LOVE LOVE LOVE all the blue and gold! And your family… gorgeous! But I gotta know where you got your living room chairs, I’m looking for something like that for my family room. Just need a little conversation area in front of the fireplace. Something like that would be awesome. I’ve seen some, but they aren’t big enough. Those look big and comfy… like you’d be comfy sitting, sipping and talking. Merry Christmas Sweetie!! God Bless! Your home looks AMAZING! I love all of the colors and the gold and blue! Thank you so much for being a part of the home tour! I am so blessed! 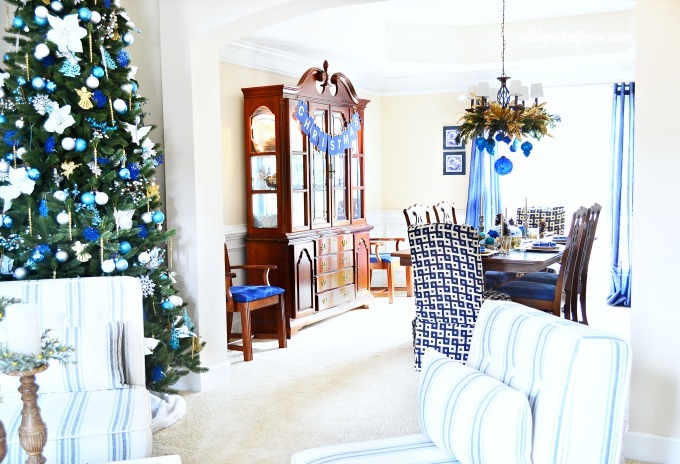 Heather, I just love the pops of blue all around your home! I would love trying something like that but my family would have a fit! They’re very stuck on traditional and the way we’ve always done it. Sounds like church, doesn’t it? Anyway, beautiful home tour! I love all the blue and gold, it is gorgeous. It is just gorgeous, I’m loving the pops of blue simply beautiful my friend! Heather your home is just beautiful. 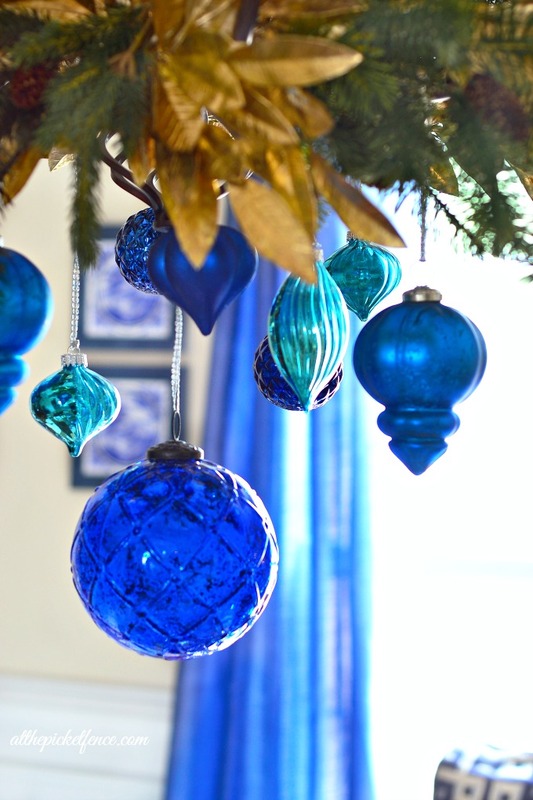 I love all of the blue in your holiday decor this year. Your flocked tree is gorgeous. Merry Christmas to you and your family. You all look amazing. Seriously!!!!!!!!!!!!!! You and Vanessa are BRINGING IT!!!!!!!!!!!!!!!!!!!!!!!!!! Love every little detail and it is truly amazing! Thank you so much for inspiring me today! Heather your house is beautiful and you look AMAZING!! Beautiful family as well! Just wanted you to know that I was inspired by one of your past posts about your journey and am using it for inspiration! You should be so proud! Oh and I love the blue you used too, it’s inspiring for someone like me who uses creams, tans, and browns! Merry Christmas! Thank you again to you and your sister, such an inspirational blog! Oh, Heather, girl! I don’t know what you were talking about on Facebook, but your house looks amazing and stunning for Christmas!! Wowza, gorgeous pics, you did a super job with it all. I’m telling you, all the talent in blogland this year is seriously getting to me. I cannot compete! This is the first year of blogging that I’ve felt like that and I’m going to have to mention that in a blog post. If we feel like that, imagine how our readers must feel? Gorgeous, girl!! REally, truly gorgeous, I love all the blues and greens! Hi Heather! 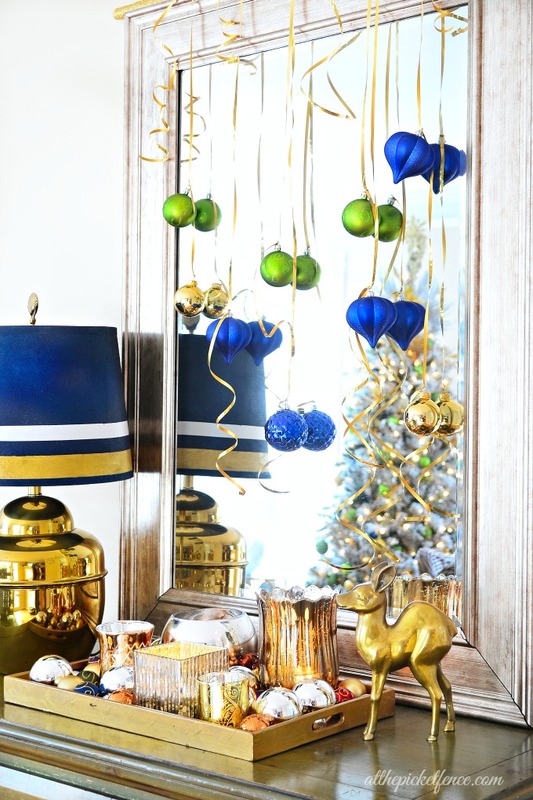 What a fun festive home.Love how you introduced all the blue and gold. You have done a great job settling in , it all looks perfect! Happy Holidays to you and your family. SO gorgeous Heather!! I love all the blue and gold and every photo is more gorgeous than the next! Your new home is just beautiful and so is your family – Merry Christmas! SOOO fun! 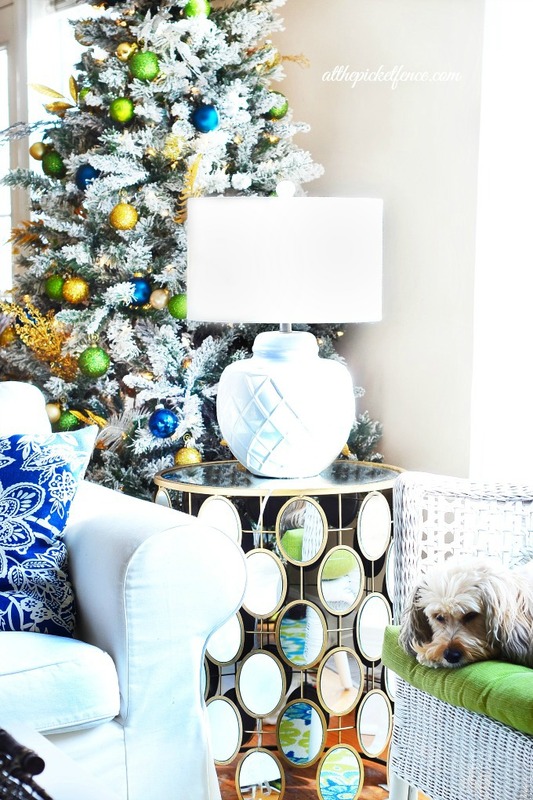 i love your colors and love all the modern touches! beautiful! Oh how I love all that gorgeous blue!!! Beautiful home, Heather! Thank you for sharing you tour and talent for creating beautiful rooms! Heather, your home is stunning! I love your bright colors and choice of gold accents! I’m such a gold girl! Your blue just pops! You have turned this house into a home! It’s so festive! Thank you for sharing your holiday home! Heather, I love the blue and metallics. So beautiful. 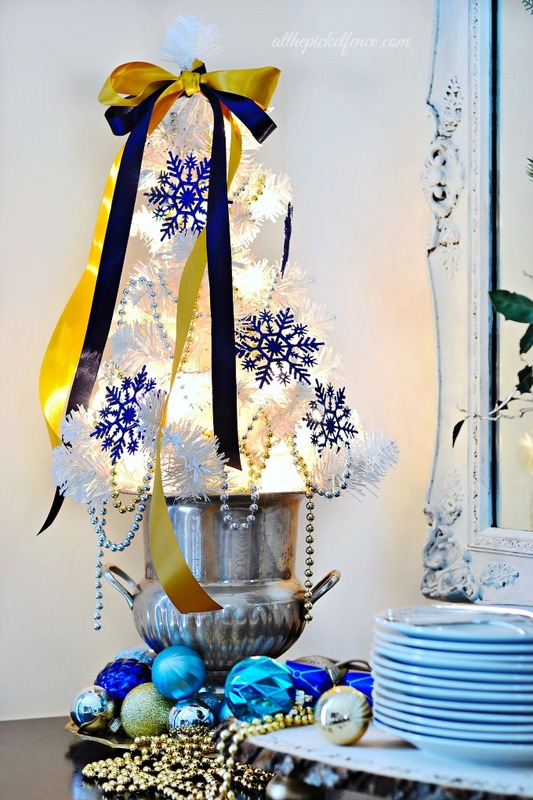 The blue is so striking against the gold and white. Merry Christmas, friend! Glad you are doing well. This tour just keeps getting better and better! And before I forget, you are rocking that outfit! Love the necklaces. Your daughter should be a model. Anyway, I love all of the royal blue touches, along w/ the turquoise. The ornament’s hanging from the chandelier are gorgeous. Your furniture choices are awesome, too…one of my favorite tours, so far. Oh, Heather — this is beyond Gorgeous! It’s Gorgeous Heather!!! 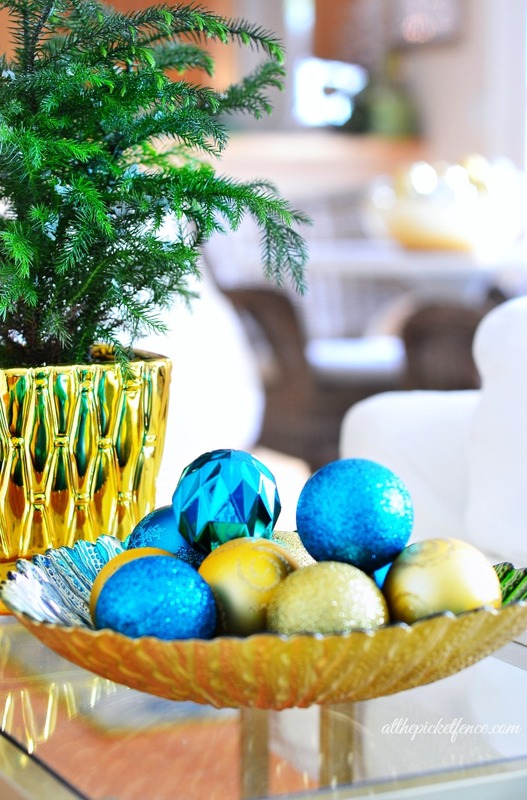 I love all the pops of blue and gold, they are stunning!! And that flocked tree is amazing! 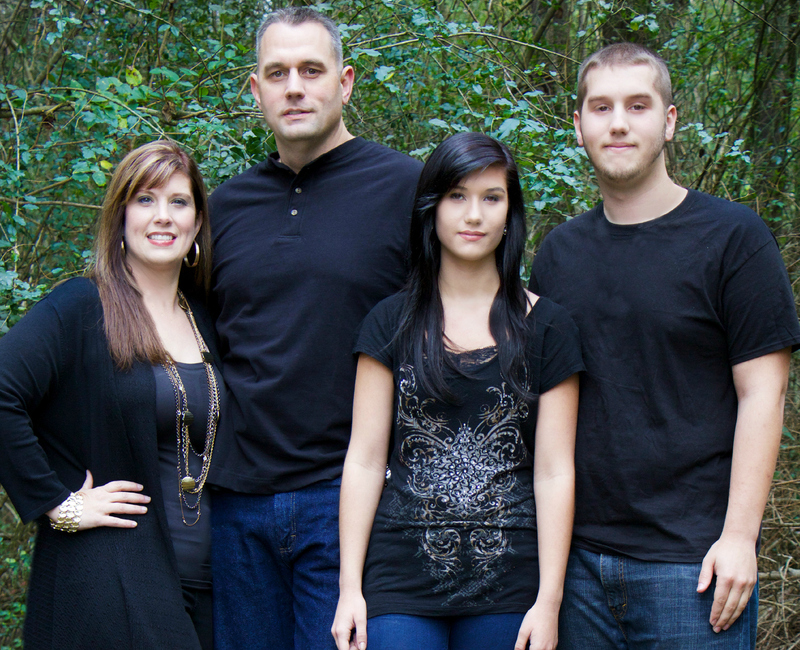 Loved the photo of you and your family too, what a great pic and you look so beautiful! WOW, Heather you’ve got decorating skills! 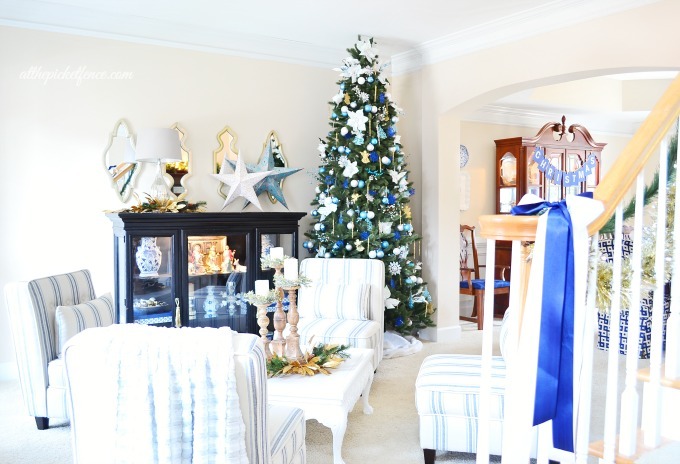 Love the blue thought out the house and that tree stand is dreamy. Your living room is cozy with all the chairs facing each other, I heart that. Your home is lovely and I’m glad you shared it with us. I love the blue and green! 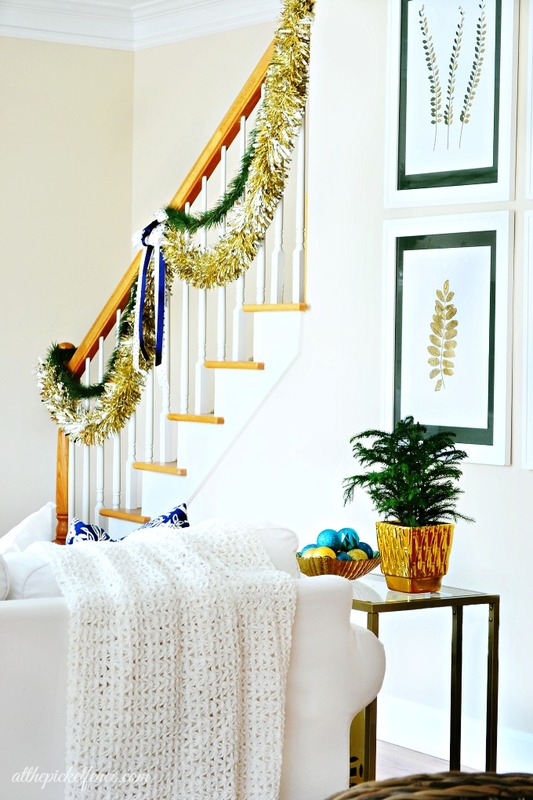 It’s fresh and fun and looks amazing with the gold accents. Great job styling and as always gorgeous photography :). Thanks for opening up your home and sharing! 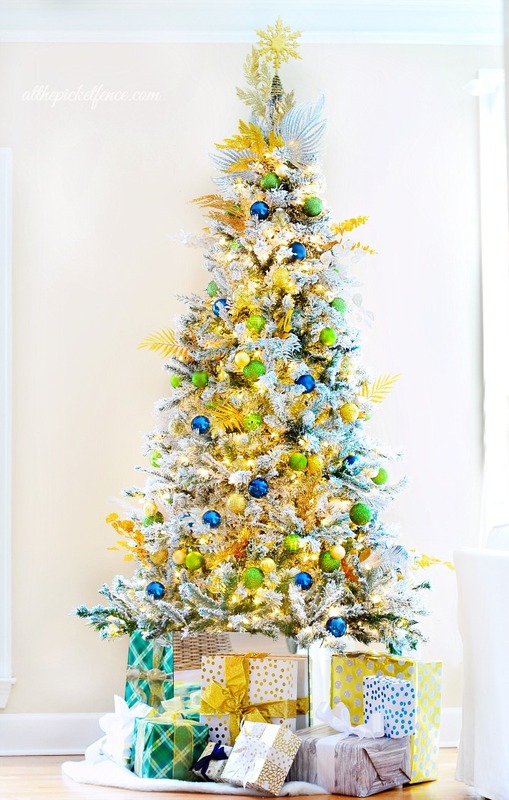 Your home looks so bright and cheery, I love the vibrant colors… Your tree is absolutely gorgeous! Merry Christmas! 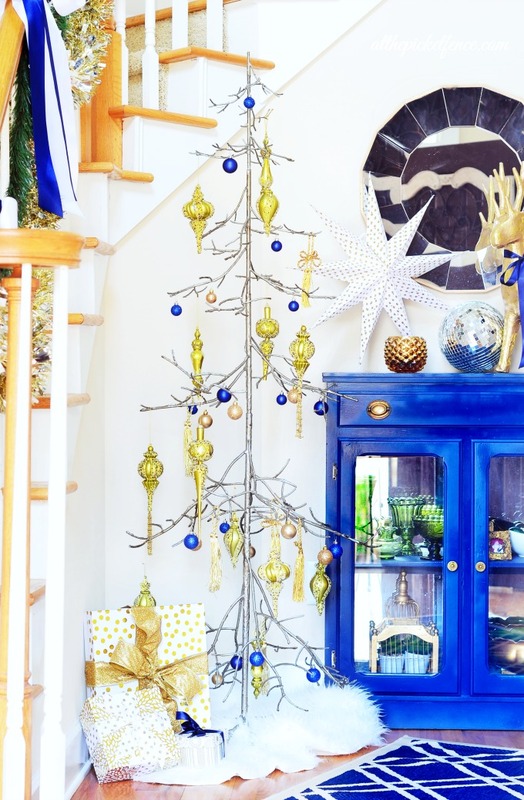 Oh Heather, you have me thinking blue and I’ve never considered blue for Christmas! The gold and blue is gorgeous! 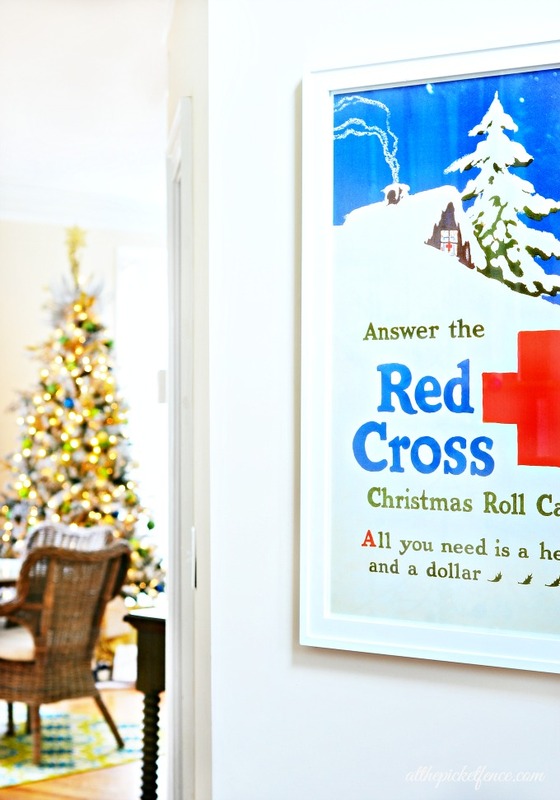 The stars are perfect and the Red Cross poster framed really caught my eye! Love the unique and unexpected items! Hope y’all have a marvelous Christmas in your new home! 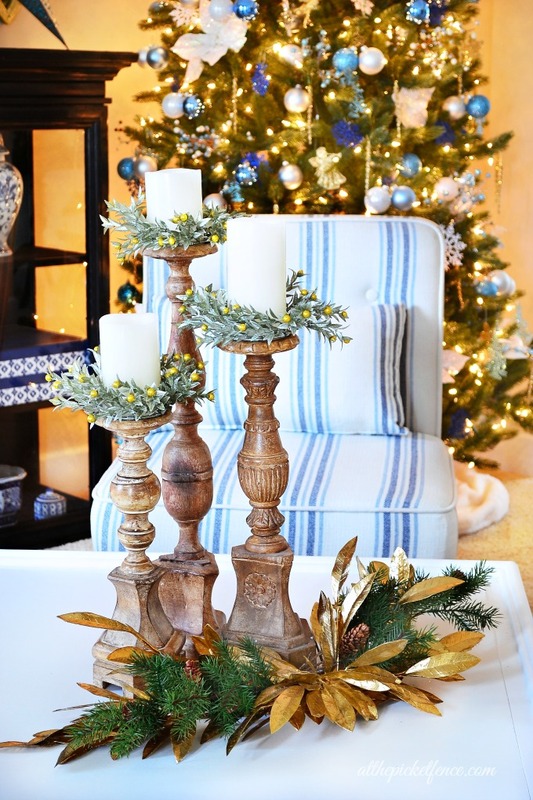 Love your fresh, new Christmas style in your fresh, new home! Your home is so beautiful so bright and so fun! Merry Christmas! All so beautiful, Heather! I love your family photo at the end, too. Heather, I’m late getting to your open house, too, but what a fun and festive mood you’ve set! 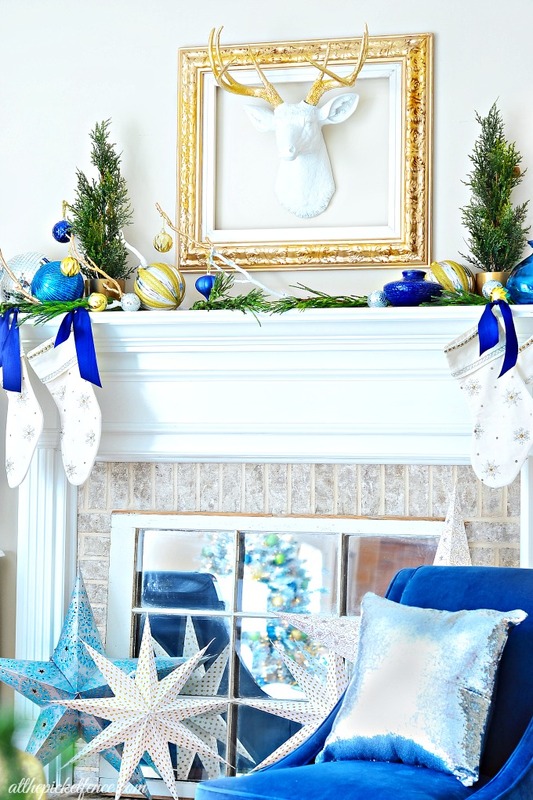 I have some vintage cobalt ornaments I love to decorate with, and now I’m wishing I’d pulled them out this year… It’s wonderful seeing you enjoy your first Christmas in your new house — and seeing your personality shine through in your decor. Welcome back to the South!